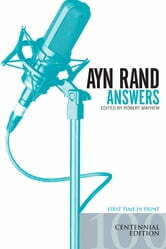 After the publication of Atlas Shrugged in 1957, Ayn Rand occasionally lectured in order bring her philosophy of Objectivism to a wider audience and apply it to current cultural and political issues. 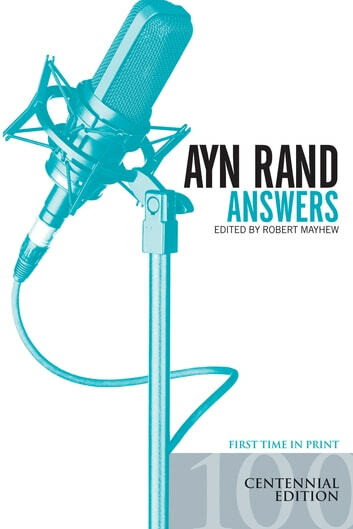 These taped lectures and the question-and-answer sessions that followed not only added an eloquent new dimension to Ayn Rand's ideas and beliefs, but a fresh and spontaneous insight into Ayn Rand herself. Never before available in print, this publishing event is a collection of those enlightening Q & As. This is Ayn Rand on: ethics, Ernest Hemingway, modern art, Vietnam, Libertarians, Jane Fonda, religious conservatives, Hollywood Communists, atheism, Don Quixote, abortion, gun control, love and marriage, Ronald Reagan, pollution, the Middle East, racism and feminism, crime and punishment, capitalism, prostitution, homosexuality, reason and rationality, literature, drug use, freedom of the press, Richard Nixon, New Left militants, HUAC, chess, comedy, suicide, masculinity, Mark Twain, improper questions, and more.